Not only will the final quarter of 2015 be characterized by the release of the new James Bond film, there will also be a number of new book releases for us fans to enjoy. Independent academic publisher Intellect Ltd. was so kind to let me review their newest entry to the ‘Fan Phenomena’ series which aims to ‘decode’ cult subjects in terms of the appeal and far reaching connections each of them have in becoming part of popular culture. ‘Fan Phenomena – James Bond’, set for a September 2015 release, made an interesting read on a train journey to Switzerland on which I rarely closed the book. The essence of this 164 page book edited by Claire Hines is the focus on the mighty James Bond fan base. Rarely have I come across a book that highlights fan activity in a way that film character and fan are almost put on equal level. While reading through the eleven chapters, you get the feeling that, in many ways, this book is more about you than James Bond. Naturally, that is the intended purpose and works very well as such. One thing I appreciated very much about this book was that individual Bond fans and friends are highlighted – like YouTuber Calvin Dyson whose very own style of analyzing aspects of the James Bond film series has earned the admiration of many. Inbetween the chapters, there are also four full interviews with author Raymond Benson, artwork expert & collector Peter Lorenz, Gunnar Schäfer who owns the 007 museum in Sweden as well as crossplayers CousinCecily and Winter. 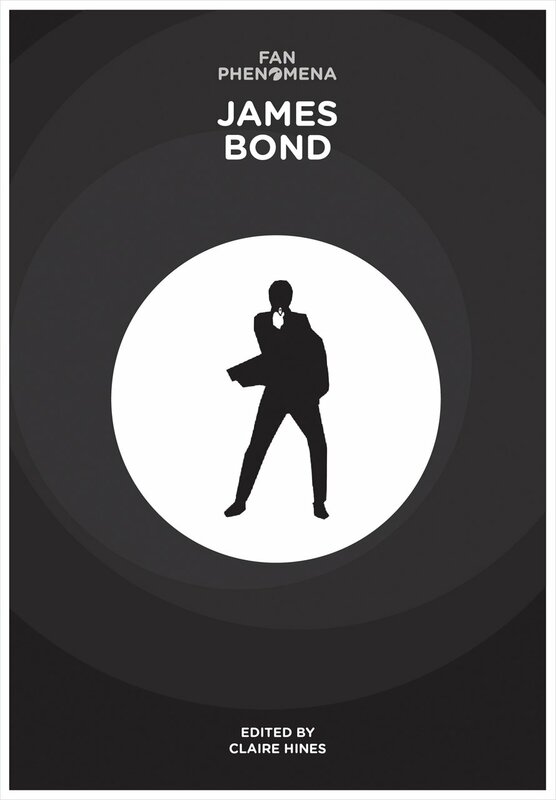 The sophisticated writing style of ‘Fan Phenomena – James Bond’ paired with detailed, sometimes almost forensic, analysis opens up a whole new insight into the Bond fandom. Being part of this elaborate circle for over ten years, I thought I had seen and heard it all. However, I was amazed to discover that I had merely scratched the surface of many topics covered by this book. For instance chapter 4, that deals with Fan Edits of Bond films. I knew they exist, I own some of them in my collection but I learned, that there are many more I had never even heard of. Most of the time, I simply regarded fan edits as a reinterpretation according to the vision of the fan editor. I never gave much thought about why they were done and what their purpose is. ‘Fan Phenomena – James Bond’ should make interesting reading for any Bond fan as the book does not try to tell us something we already know. It is a fresh and intriguing look into one of the biggest fan communities, filling knowledge gaps here and there as well as appreciating fandom. James Bond 007 är den röda tråden i Gunnars liv. På Bond-museet i Nybro samlar han prylar och rekvisita från filminspelningarna. Videon är inte längre tillgänglig på SVT Play. Kan ses i hela världen.